WebKitGTK is a full-featured port of the WebKit rendering engine, suitable for projects requiring any kind of web integration, from hybrid HTML/CSS applications to full-fledged web browsers. It offers WebKit’s full functionality and is useful in a wide range of systems from desktop computers to embedded systems like phones, tablets, and televisions. WebKitGTK is made by a lively community of developers and designers, who hope to bring the web platform to everyone. 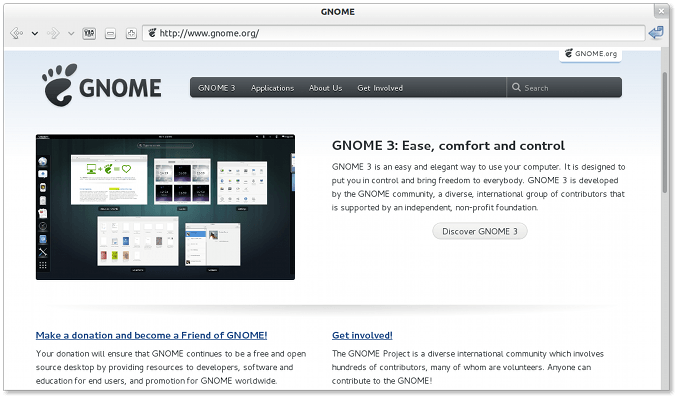 It’s the official web engine of the GNOME platform and is used in browsers such as Epiphany and Midori. Since adding support for WebKit2, it’s possible to build applications that use the web platform with increased security and responsiveness. The web is a jungle, but web pages cannot crash the main application or freeze the UI. WebKitGTK also uses process separation to seamlessly support GTK 2 plugins (like Flash) in GTK 3 applications. Access is one of our core values. For this reason, we are committed to making the web work for individuals of all ages and abilities, from all walks of life, all over the world. The web isn’t just for reading words. We drive development of the GStreamer WebKit backend and support full integration of video into page content and the HTML canvas element. Currently we are working to finish support for WebAudio and WebRTC. WebKitGTK can use the GPU to enable smooth page compositing and scrolling, as well as 3D CSS transforms and 3D HTML canvas (otherwise known as WebGL). This makes WebKitGTK suitable for a whole range of games and visualization applications.